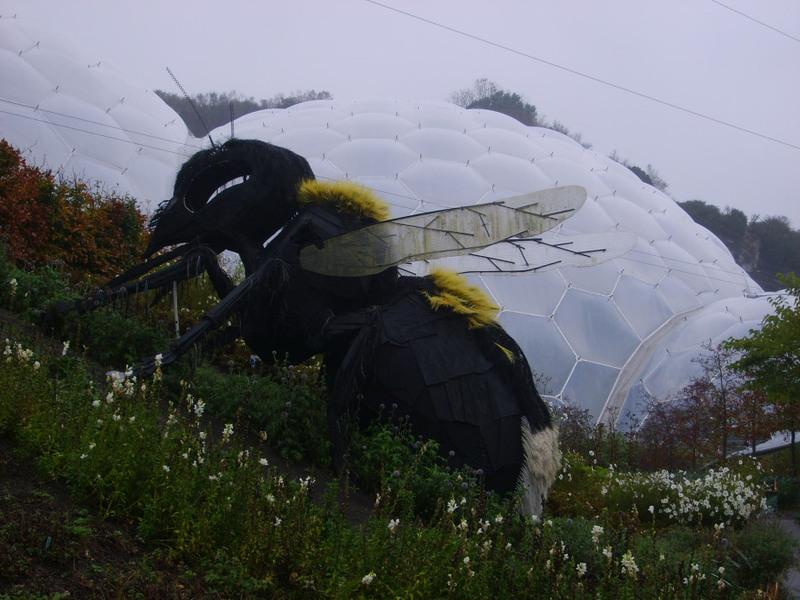 A man was driving by a farmer’s field when he was amazed to see a gigantic bee big as his car. Soon he came to the farmhouse and the farmer was sitting out on the front porch. He stopped to talk to him. In the early 1970s, I was living in Tulsa and hanging out with a neighbor who played in a band. One day I was at his house and another musician came by with a newly recorded and unreleased song by J.J. Cale. We sat around and listened to the song, Cajun Moon, and I remember thinking how lucky I was to get to be one of the first people to hear it. In the mid-80s, I was living in Kansas and I went to hear J.J. Cale play at the Cotillion in Wichita. It was nothing special, a barn-sized venue and there were probably less than a hundred people there. The band started playing and after a while, a skinny guy came out, stood in the shadows and started playing his guitar. No intro, no fanfare, no spotlight. That was J.J. Cale, low key, low profile, never seeking the limelight. Neil Young considered him, along with Hendrix, one of the two greatest guitarists of all time. But he’s probably more famous as a songwriter, creating hits like Eric Clapton’s After Midnight and Cocaine and Lynyrd Skynyrd’s Call Me The Breeze. It was not until late in life that he won the grammy for his collaborative album with Clapton, Road to Escondido. In the early 1960s, he moved to California and became a sound engineer. Discouraged by his inability to break into the music business, he almost gave up music, but hung on after Clapton recorded a cover of After Midnight in 1970. Returning to this hometown, he would be an important element in creating what came to be called the Tulsa sound, a sort of rockabilly shuffle infused with bluesy guitar licks. By then Tulsa’s own Leon Russell had also returned to Oklahoma from California and the two got together and formed a close musical partnership. It was Leon who first signed J.J. Cale to Shelter Records, despite the fact that co-owner of the label Denny Cordell was less than enthused about Cale’s music. 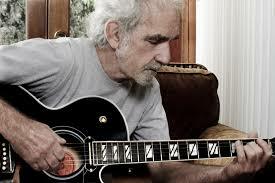 And so J.J. Cale began recording his music at the Shelter Records studio in Tulsa. His first album Naturally was an underground, if not a commercial, hit. It’s hard to understand why a beautifully melodic song like Magnolia did not become a top hit, while a song like America’s Ventura Highway, which uses an almost identical chord structure, is widely known. Maybe it’s because J.J. Cale was more artist than showman. It’s sometimes hard to understand why the American entertainment industry rewards the artists it does and fails to recognize the ascendant talent of others like J.J. Cale. For the next four decades he cranked out music in relative obscurity, performing with many famous musicians but never becoming a big star himself. But his music speaks for itself. and you only have to listen to it to know that the world is lessened by the loss of J.J. Cale. The beach is empty. Clouds blanket the ocean; rain stipples the waves. A warm rain, but I shiver. The searchers have given up. Everyone has gone home. It was glorious that afternoon, the last day of our vacation, the sand crowded with sun seekers. Tanned and relaxed, she wished she could stay. She went swimming while I dozed. I dreamed of rain on the ocean. When I awoke she was gone. The water is dark in the gray light. A rogue wave barrels ashore knocking me to my knees. When it recedes, something gleams in the sand, a wedding ring. 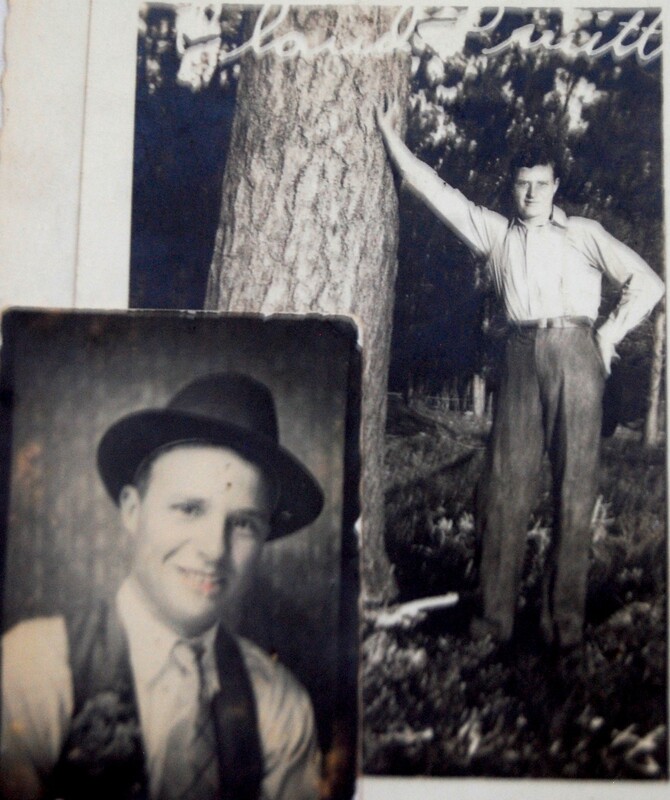 One hundred years ago today, July 18, 1913, my dad was born in a sharecropper shack near Spiro, Oklahoma. Claude Reo Pruitt was born into a dirt poor family who survived through subsistence farming, hunting, fishing, berry picking, and any other way they could figure out to get by. 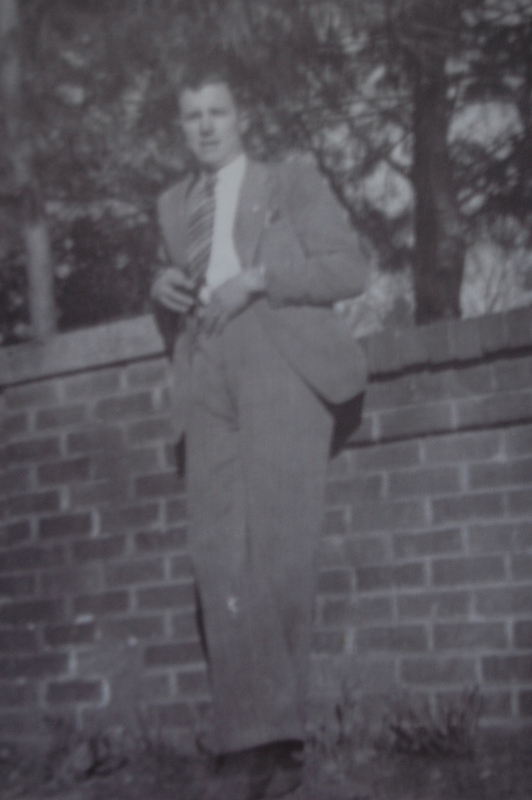 My grandfather Sid was a drinker, a gambler and had a quick temper, none of which helped his family. My grandmother Mae was a good-hearted part Cherokee who gave birth to six children who survived, my dad being the second born. So my dad grew up in poverty in the country in eastern Oklahoma and the family made a hardscrabble life in the bottomlands of the Arkansas River. The hardships of their life forced my dad to drop out of school in the eighth grade. This was a shame because he was an intelligent person. I remember he could do complicated math calculations in his head and read the newspaper every day while I was growing up. He was a young teenager when he started riding freight trains to Texas to pick cotton to support the family. He told vivid stories about riding freight trains during the depression and there would be hundreds of people riding the train. One story he often told was once when he and his brother were riding the trains home from the cotton fields and they were bringing their mother a red peanut butter bucket they’d saved for her. They were staying in a hobo jungle along the tracks when a knife fight broke out and they got scared and ran off and forgot to grab the peanut butter bucket. When the Great Depression came along, Claude joined the Civil Conservation Corps and was stationed first at Pine Valley, Oklahoma and later at Douglas, Wyoming. He was paid $18 a month, and $13 was sent home and he had $5 a month spending money. He supplemented this tiny income by selling merchandise to his fellow corpsmen, including men’s dress suits. In Wyoming, he strung wire on telephone poles and built trails. 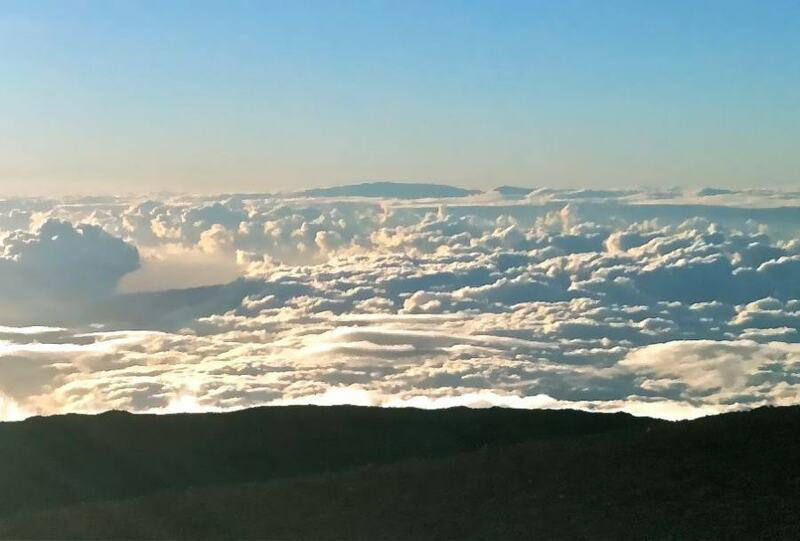 While carrying a log, he slipped and injured his back severely, leaving him with an injury which left him bent over for the remainder of his life. After his time in the CCC was over, he did what many Okies did to escape hard times back home. He journeyed to California where he found work in the fields and later as a gardener. He saved his money and bought his first car, which I believe may have been a 1933 Chevy. He drove it back home to Oklahoma. In the 1940s, the Pruitt clan relocated to the outskirts of Tulsa and Claude found work at Spartan Aircraft and was making 75 cents an hour. In 1943, he accepted a job at Boeing Aircraft in Wichita, where he would meet my mother, Irene Brock. The back injury had made him unfit to serve in World War II but he did his part building B-29 bombers and making more money than he ever had before. Irene grew up on a farm in Arkansas. When they war ended in August 1945, they moved to her home valley. I was born there and my first home had no electricity or running water. Dad raised cotton in 1946, and in 1947 my sister Patricia was born. Two big events demarked the late 40s. Claude and Irene moved to Tulsa and settled near dad’s family, and my sister died at only 18 months. Her death was a dark cloud that hung over the family for years. Claude got a job sanding and finishing floors, and that was his occupation while I grew up. We lived in a series of rent houses in an area of northeast Tulsa. 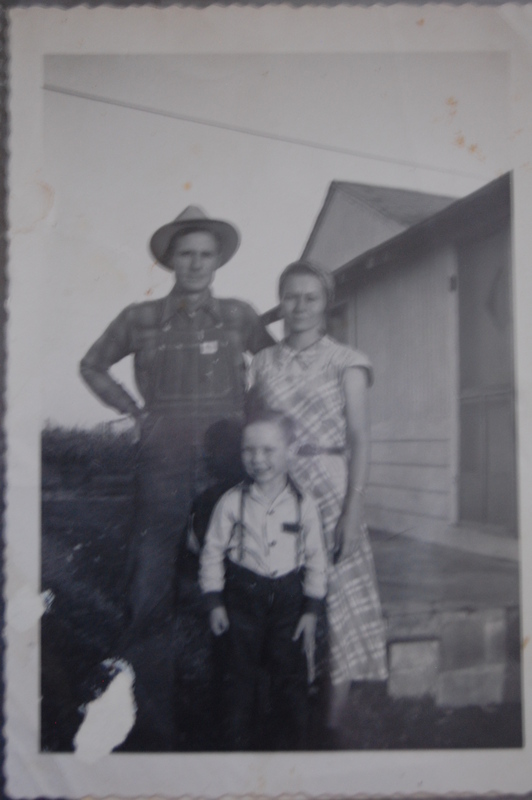 In the early 1950s, mom and dad bought six acres and a small house on the prairie east of Tulsa. I went to kindergarten and part of first grade while we lived there. Mom hated living out on the prairie. Dad loved it. It was a conflict they couldn’t resolve. Mom wanted to live in town in a house built by a professional builder. Dad wanted to live out and grow a big garden and have livestock. Mostly, we lived in town. So in 1951 (I think) we moved back to town into a shotgun house my parents bought for $2,000. It had no bathroom, an outhouse in the backyard, but dad added a bathroom and a bedroom for me. In 1953, we were living in the shotgun house, my grandma and grandpa living right across the street and I stayed with them when my brother Leland was born. Dad was 40 that year. In probably 1956, we moved into a rent house at 1936 N. Oxford in Tulsa. It was the first time we’d ever lived in a housing addition and it was only two blocks from Bryant Elementary where I was in the sixth grade. We only lived there about a year and then we moved back to the house on the prairie and I attended seventh grade at East Central School. I hated it and mom didn’t like living in the country so we moved back to the shotgun house after one year. Dad never got to live in the country after that, but he did garden almost obsessively. While we lived in the shotgun house, he had a huge garden on the vacant lot next door and when that wasn’t enough, he started gardening a vacant lot a few blocks away. Later, he added a third garden. The garden produce was delicious all summer, mom canned as much as she could and we gave lots away to relatives and neighbors and sold some of it at rock bottom prices. I believe our price for homegrown tomatoes was ten cents a pound. Dad had his own floor sanding and finishing business by then. There was a post-war building boom in Tulsa, and dad would sand and finish the floors for nine cents a square foot. It took two days to sand and finish a house, and he’d charge about eighty to ninety dollars. In the early 1960s, builders began installing wall-to-wall carpet in new houses and there was no more floor sanding work. Dad sold his equipment, got a job at a machine shop and worked there until he retired. When I was in high school, we moved again, to a house my uncle had built. Dad built a greenhouse in the backyard and raised his own vegetable plants. We were living there when he helped me buy my first car for $50, a black 1952 Ford with a cracked engine block. I got married at 20. Because I was underage (the age of majority was 21 back then) dad had to go with me to the Tulsa County Courthouse and sign for me to be able to get a marriage license. Mom got pregnant again. She was 43 and it was a high risk baby. The child died trying to be born. Mom and dad faced the tragic loss of a baby for the second time in their lives. I soon had two children of my own, the only grandchildren my mom and dad would have. My dad used to raise and slaughter rabbits at his house, which horrified my children when they were little. Dad gave up raising rabbits because of how his grandchildren felt. I think it was the early seventies when mom and dad moved to their final house, a two-bedroom brick house on a corner lot in a standard housing addition. Mom finally had what she’d wanted, a house built by a professional builder. Dad turned over the grassy ground in the backyard and made it into one large garden. He built a small greenhouse on the back of the lot. He had a small vegetable stand in the front yard in the summer. The city bus line ran right by their house, and the bus driver would stop the bus to buy veggies from dad. I moved out of Tulsa in 1976 and never moved back and I saw less of mom and dad, though we’d go back for holiday visits. Mom and dad lived out their retirement in their tract house. Dad gardened and in the evening they watched Atlanta Braves baseball. In the late eighties, dad developed dementia and it became difficult for mom to manage his care. He spent the last years of his life in a nursing home in Tulsa. He died in June 1990 about a month before his seventy-seventh birthday. It’s hard to believe he’s been gone for 23 years. Leland died in 2003. Mom lived until 2008 and moved to the town where I live in Arkansas the last couple of years of her life. Dad lived through an interesting time in American history, the Great Depression, the CCC, riding the freight trains, World War II, the boom days of the 1950s, the era of the flower children, the Viet Nam War, the moon landing, and the beginning of the computer age. He rose from poverty, suffered tragic losses, was afflicted with a disfiguring injury, and ended his life in a nursing facility. He had a hard road, but he walked it with determination and dignity. 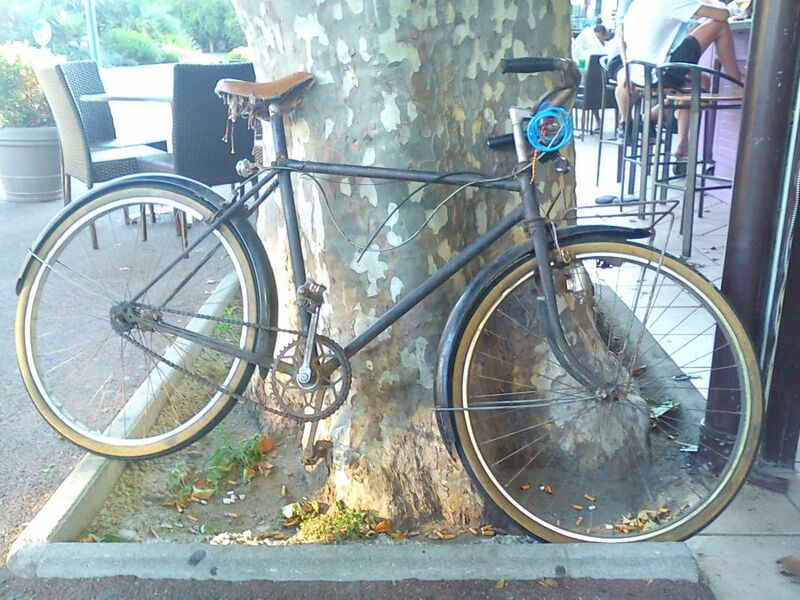 I found her bike parked outside the open-air bar and there she was with Bennett, drinking and laughing. They leaned close as I watched, sparks practically flying between them. At a distance I lurked, not believing my eyes. Just the day before, she had been warm and willing, no hint I would be dumped. They quickly downed two cocktails and walked off together into the dusk, leaving her bike. I got on it and pedaled in the opposite direction, pumping until I was exhausted, trying to drive her off my mind. Why do they always go back to their husbands? If you could like to come out and play with the Friday Fictioneers, click here. The Peace Corps in a third world country was a trip, but not as trippy as the letter from my friend back home. Inside, a small square of paper imprinted with an owl. I swallowed it remembering crazy college days. 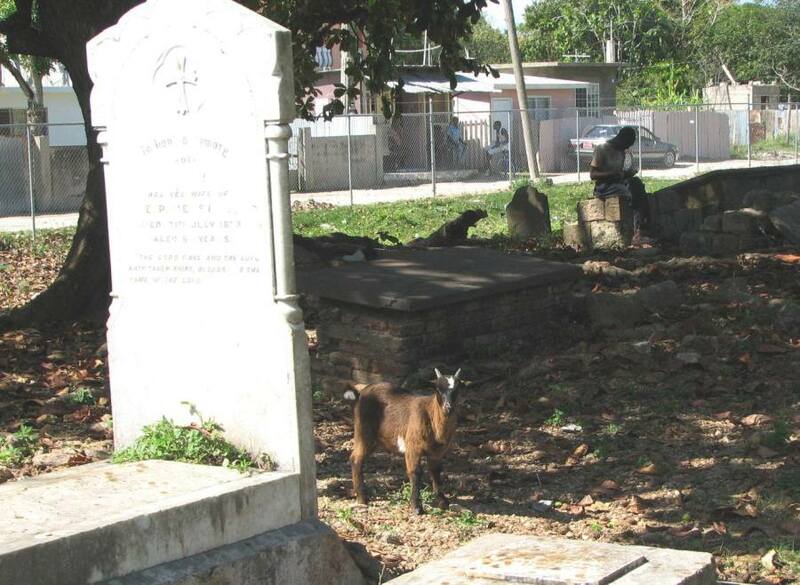 Hours later I was lost in a shantytown, standing in a cemetery, a goat staring curiously. “I love you,” said the goat, who morphed into a beautiful woman. “I love you too,” I answered, surprised that I meant it. “Let’s go somewhere private,” said the goat-woman. “You got that right,” she said, pulling out the knife. 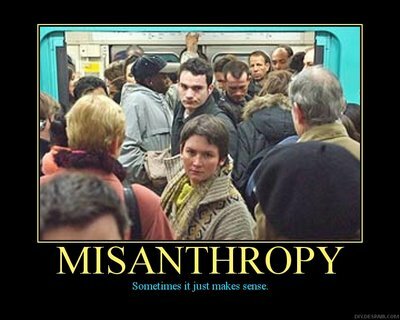 Unsure whether you qualify for the label of misanthrope? Here are a few clues. If you answer yes to any of the following questions, you might be a misanthrope. Do you prefer to go through the self-check at the supermarket? If you have a cell phone, is it turned off most of the time? Did you miss your high school reunion? Do you live in a small cabin far from town? Is you best friend a dog, cat, bird or fish? Do you seldom visit social networking sites? Do you rarely get email from actual humans? Is your phone a land line? Do you go to the mailbox weekly? Now add up the number of times you answered yes and refer to the Pruitt scale of misanthropy below to see just how much you hate your fellow human beings.